In order to sign up as a user of Vebbler, you have to open an account with us and provide us with your full legal name, date of birth, email, your profile picture (hereinafter referred to as 'Personal Information' ) and also provide us with password and gender, comprising of “sensitive personal information” (“hereinafter referred to as “SPD”). – 100 characters that describe you best. - To identify whether you are verified user. - To enable others who know you or share similar interests to search for you on the network. - To provide suggestions based on the information you provided. 2 Information you choose to share - Information shared publicly (or with followers), including photos, videos, web links, clubs and reactions. - Information shared to friends or specific clubs, including photos, videos, clubs and reactions. - Information that's always public (like your name and profile picture) - To determine clubs and photos that are trending. - So that others can easily see the information you choose to share either on their stream or through a search query. - To provide you with innovative features and services using the information we receive about you in new ways. - To keep a record of your communication to help resolve any issues that you might be facing. We may use your email address to inform you about our services, such as letting you know about upcoming changes or improvements. 3 Information others share about you - Someone tags you in a post. - Information about you that they choose to share publicly. 4 Information of your activity on Vebbler - People who you communicate with regularly and clubs that you are active in. - People you have searched and pages you have visited. 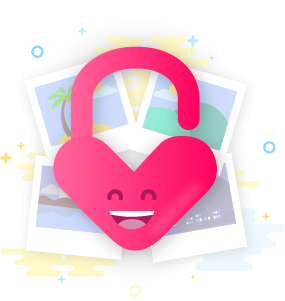 - Meta data from your photos and videos like time, date and place. 5 Other information we receive - Device-specific information like your hardware model, operating system version, unique device identifiers and mobile network information. - Log information such as your search queries, IP address, device information, hardware settings, broswer type, browser language, date and time of your request and URL. - Cookies that identify your browser on your Vebbler account. We may send one or more cookies or other anonymous identifiers to your device to collect and store information when you visit Vebbler. - To keep Vebbler safe and secure. - To protect Vebbler from viruses and other malicious content. - To ensure Vebbler opens fast on your browser. - To provide you our services in your preferred language. - To notify you if you are using an outdated browser that does not support our service. i. Vebbler allows you to create up to 50 clubs that can be visible either only to people you invite, all your followers or everybody on Vebbler. You can control who sees your photos and videos at the time of creating a new club. ii. We may disclose personal information to appropriate authorities including without limitation the Cyber Crime Department or other teams of the relevant State police if the User/s has violated the provisions of the Information Technology Act, 2000 or any other law for the time being in force in India. iii. We may also disclose personal information to the concerned authorities under the Information Technology Act, 2000 or any other act for the time being in force in India, if we believe that the User/s is committing any fraud or is doing any illegal activity or is encouraging cyber terrorism or doing any other act which will hamper the national security and integrity of India or of any other country to which the User belongs and/or have accessed to Vebbler or violating any law for the time being in force. iv. We may disclose personal information in response to a witness summons warrant, court order, levy, attachment, order of a court-appointed receiver or other comparable legal process, including subpoenas from private parties in a civil action. v. We may disclose information to your agent or legal representative (such as the holder of a power of attorney that you grant, or a guardian appointed for you). vi. We may share aggregated statistical data with others for public relations, marketing or other purposes. Such data will not, however, be tied to personally identifiable information. Vebbler gives you an option to review, update, correct or delete the Personal Information provided by you at the time of registering with us by changing your “profile settings.” In some cases we may retain your earlier personal information if required by law. Delete photos and videos shared by you. Delete comments and reactions made by you. Delete or modify any moment created by you. Modify which clubs or stories you shared content with. Edit the text of reactions and comments made by you. i. When you deactivate your account, your account is put on hold. Other users cannot see your profile, but we do not delete any of your information. As you may want to reactivate your account at some point in the future, we do not delete any information from your account. If you do not re-activate your account within 60 (sixty) days, we can delete your account permanently. Our aim is to maintain our services in such a manner that it protects information from unanticipated or malign destruction. Hence, normally after you delete information from our services, we might not instantly delete remaining copies from our active servers and might not remove information from our backup systems. ii. Removing your name or any personal identification from the information: For example, if you choose to deactivate or delete your Vebbler account, your name and related information will be removed from the information you have shared. We will retain your personal information and any other information posted, uploaded and/or shared by you for as long as your account is active. If you wish to cancel your account you may delete your account. In case you delete your account with us we may retain and use your information as necessary to comply with any outstanding legal obligations related to any disputes you have with us. Save and except the above, we will immediately delete your information upon request of deletion of account. However you agree and accept that in case of any inquiry from any authorities including without limitation the Cyber Crime Department or other teams of the relevant State police regarding your account or regarding the account of any other User who is connected with you, we will retain your personal information and other such information even if you delete your account. You agree and acknowledge that we will not delete from our servers files that you have in common with other users. We may automatically track certain information about you based upon your behaviour on the Platform. We use this information to do internal research on our users' demographics, interests, and behaviour to better understand, protect and serve our users. This information is compiled and analyzed on an aggregated basis. This information may include (but not limited to) the information about your computer, browser information, connection information, your IP address, the URL that you just came from (whether this URL is on our Platform or not), which URL you next go to (whether this URL is on our Platform or not), and statistics of the pages viewed by you i.e. the links you click on the Platform, the number of times you access the page, things you view and other websites you open simultaneously while browsing on ours etc. Your Personal Information allows us to inform you about updates or changes to Services and terms and conditions of providing you the Services. We use your internet protocol (IP) address to administer the Platform, to help identify you, and to gather broad demographic data. Your IP address contains no personal information about you. We use data collection devices such as "cookies" or other similar devices or technologies on certain pages of the Website and the App, as the case may be, to help analyze our web page flow or App usage, measure promotional effectiveness, and promote trust and safety. When you use one of our location-enabled services (for example, when you access Services from a mobile device), we may collect and process information about your mobile device’s GPS location and the time and/or location information is recorded to customize the Services with location-based information and features. Some of these Services require your personal data for the feature to work and we may associate location data with your device ID and other information we hold about you. We keep this data for no longer than is reasonably necessary for providing services to you. If you wish to use the particular feature, you will be asked to consent to your data being used for this purpose. You can withdraw your consent at any time by disabling the GPS or other location tracking functions on your device. If you’re using our Services on a mobile device, we may use various devices or other identification files to identify you instead of cookies to save and track your preferences and your use of our applications. Unlike cookies, these identification devices or files may or may not be capable of deletion. If you choose to avail services on the Platform, we collect information about your browsing or usage behaviour. We also allow other users in the respective clubs to comment about matters shared or posted by you. IP addresses are not linked to personally identifiable information. The IP address is only used by Vebbler on “need to know” basis to administer the Platform, gather broad demographic information for aggregate use, analyse trends, track user’s movement and it is also used for detecting usage patterns and troubleshooting purposes and for systems administration. Our Web servers also automatically log standard access information including browser type, access times/open mail, URL requested, and referral URL. We do not use this information for any other reason except for the reason mentioned above. In the event we need to utilise this information other than the purpose mentioned above we shall take your prior written consent. However we do not share this information with the third parties save and except in cases where the Cyber Law Department of India requires information of the IP address/s of any User under the Information Technology Act, 2000 or such other Act for the time being in force in India. i. You are responsible for maintaining the secrecy of your password and account information and for controlling access to your email communications at all times. ii. Vebbler uses industry standard measures to protect all information that is stored in our servers and/or within our database. We limit the access to this information to those employees who on “need to know” basis need access to perform their job function such as our customer service personnel. Our Services are not directed to persons under 13. We do not knowingly collect personally identifiable information from persons under 13. Vebbler shall not be held responsible and/or liable if you falsely represent and warrant yourself to be of 13 years of age or older. If we become aware that a child under 13 has provided us with Personal Information, we will take steps to delete such information from our files. To know more about our privacy and safety policy, visit our Privacy Support Page.